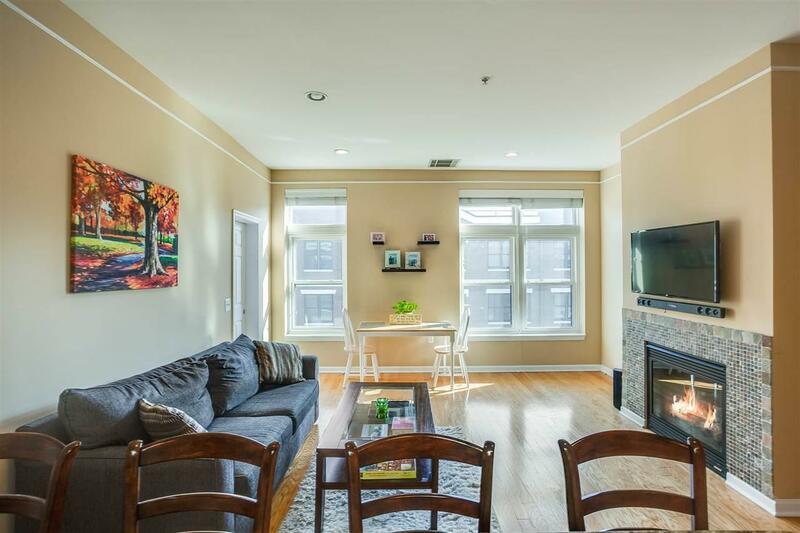 Beautiful South Facing sun-drenched 1 Bed +Den Penthouse at the Upper Grand! 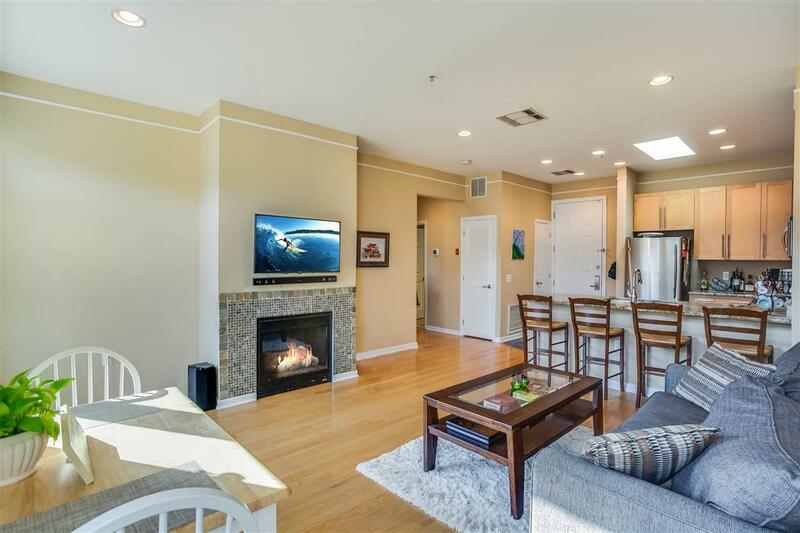 This condo has a one of kind floor plan with an additional bonus space! 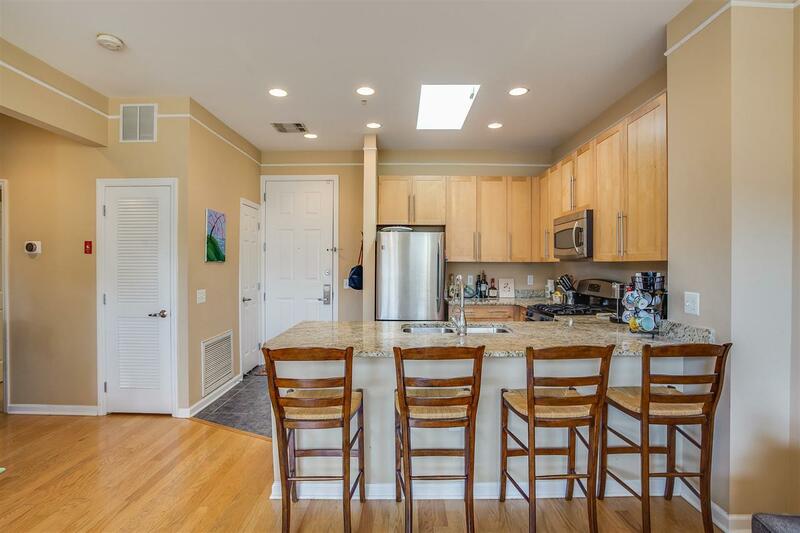 #614 features a beautiful kitchen w ss appliances/granite countertops, sky light, 9'5 ceilings, hardwood floors throughout, custom gas fireplace, in unit W/D & central air. The oversized bedroom offers a large custom walk-in closet, ample space for a king size bed & separate multifunctional bonus area perfect for an office, additional walk-in closet or nursery. 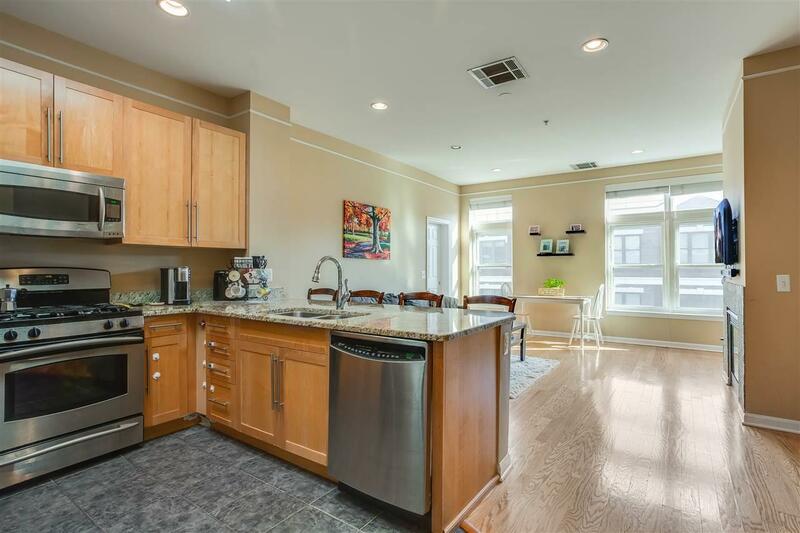 Building amenities include an updated gym with Peloton Bikes, electronic doorman, a manicured courtyard, & your own deeded indoor garage parking space. Location you can't beat! Only a few blocks from Trader joes, the movie theatre, Beer Garden & Hoboken's Largest recently funded NorthWest Park w/ pavilion primed for future movie nights & much more. Transportation is seamless to Manhattan via bus to Port Authority or a short walk to the 14th St. Ferry for access to midtown or downtown commutes.